If you visit New York City without visiting at least one outer borough, you’re not really seeing New York City. 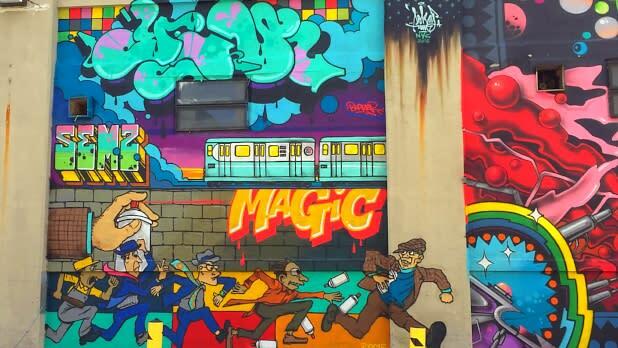 While Brooklyn gets a lot of attention, we’d like to introduce you to Queens. Queens is the most culturally diverse county in the US so you can bet your taste buds will be pleased. 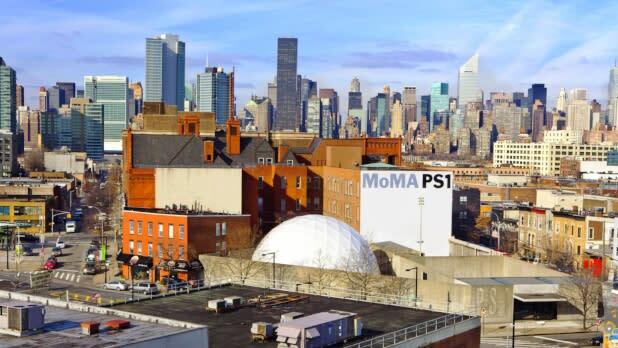 The borough is also home to world-class museums, exciting sports, and excellent views. Here&apos;s how to spend a weekend in this diverse, appealing borough! 5 pm: Start the weekend off right with a Michelin-star dinner at Casa Enrique in Long Island City. If you want seriously authentic Mexican food, this is the spot—Chef Cosme Aguilar hails from Chiapas in southern Mexico. In addition to fresh ceviche, molé, tacos with brisket, cow tongue, chorizo, chicken, pork, or fish, and a variety of enchiladas, there’s a significant tequila and cocktail menu. The spot is small and super popular, so definitely make a reservation ahead of time. 7 pm: Dutch Kills is recognized as one of the best cocktail bars in New York City, and sometimes even in the world. You’ll need to know where you’re going as this speakeasy’s door is unmarked aside from an old-school neon BAR sign. Inside you’ll find a spacious interior and affordable (as NYC cocktails go) libations. 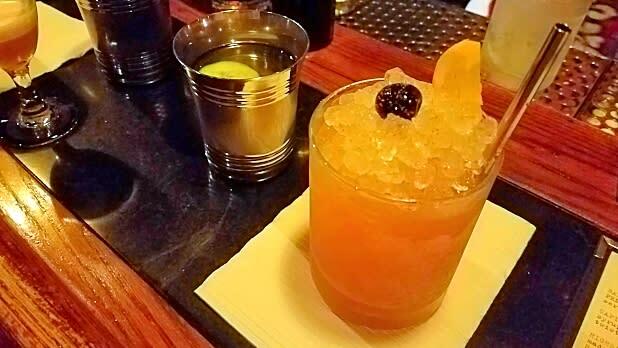 You’re welcome to choose one of the many inventive seasonal specialties or just let the bartenders know which spirit you enjoy and they can whip you up something special with hand-cut ice. 9 am: Start off with a French breakfast of crepes, omelets, croissants, or muesli at cozy bistro Cafe Henri. If you can get up even earlier, try it when it opens at 8 am, as this place gets packed when the brunch crews roll in. 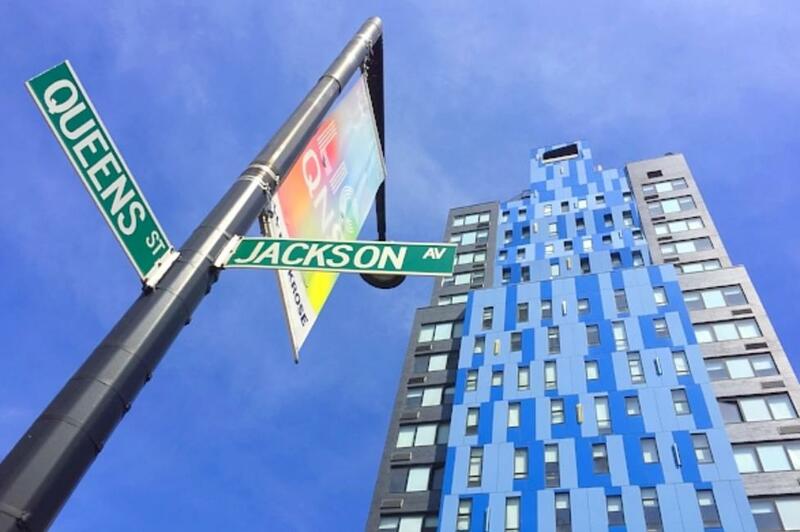 10 am: Explore Long Island City by foot. You won’t have to walk far before stumbling upon awesome street art as many of the old industrial buildings are covered in it. Walk by the historic brownstones of Hunters Point, along the waterfront in Gantry Plaza State Park (with the iconic Pepsi-Cola sign from 1940), and past the old railway tracks now covered in gardens. Stop in MoMA PS1, an offshoot of the Museum of Modern Art, where unique art performances and discussions occur. 12 pm: Take the 7 train from LIC out to Main St Station to be immersed in Flushing’s vibrant Chinatown. We recommend lunch at Asian Jewels Dim Sum. If this is your first dim sum experience, you might be surprised at the ordering process. Instead of guests ordering off menus, restaurant workers push around the food on rolling carts. Just point to what looks good and it’s yours! 3 pm: Choose your own adventure for your afternoon activity in Flushing. The following attractions all surround Flushing Meadows Corona Park, where the World&apos;s Fair was held both in 1939 and 1964/1965. Stop in the park to ogle at the iconic Unisphere, a 140-foot tall steel model of the planet, leftover from the 1960s. 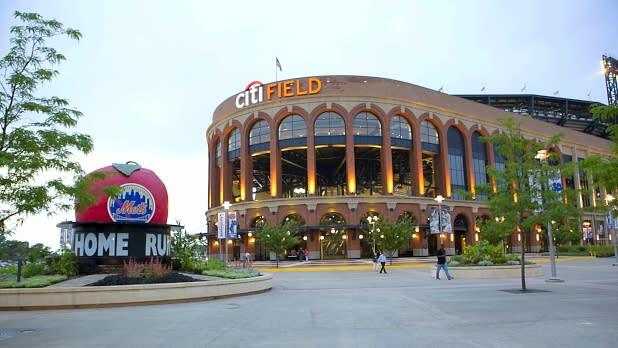 If visiting Queens from April to October, catch a game at Citi Field, home to the Mets and some of the best concession food in all of MLB. Toward the end of summer every year, the US Open comes to Queens at USTA Billie Jean King National Tennis Center and Arthur Ashe Stadium. Smaller tournaments are played outside of the US Open so check the calendar if you’re a fan. 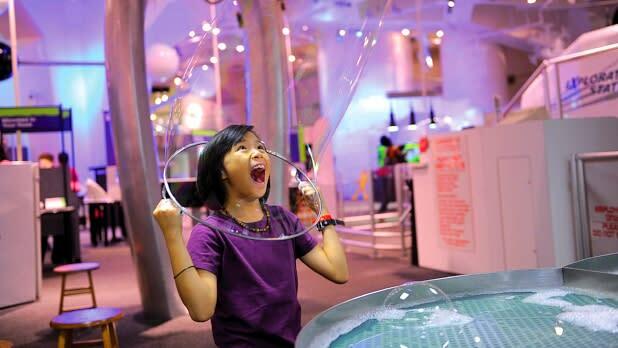 Kids will enjoy the hands-on exhibits (more than 450!) at the award-winning New York Hall of Science. 6 pm: Queens is proud to have residents from more than 120 countries, speaking 135 different languages. If you’re in Flushing from April to October, don’t miss the Queens Night Market in front of the New York Hall of Science. Everyone in the family can have something different, from Russian pelmeni dumplings, Ethiopian injera, and Venezuelan arepas to tropical desserts, Romanian-Hungarian chimney cake, and Persian sweets, but we recommend sharing so you can try even more! If you’re visiting when the night market is on hiatus, grab dinner in Jackson Heights. Take the subway to Roosevelt Av - Jackson Heights to have your pick of central- and south-Asian cuisine including Indian, Pakistani, and Nepalese. Jackson Diner is popular for its dosa, Kabab King for kababs, and Himalayan Yak for momos. 10 am: Il Bambino in Astoria serves more than a dozen “brunch paninis” on weekends with fun names like “Notorious P.I.G.” (smoked bacon, scrambled eggs, aged cheddar, truffle spread) and “Getting Piggy With It” (soppressata, scrambled eggs, onion marmalade, basil pesto, pecorino romano). 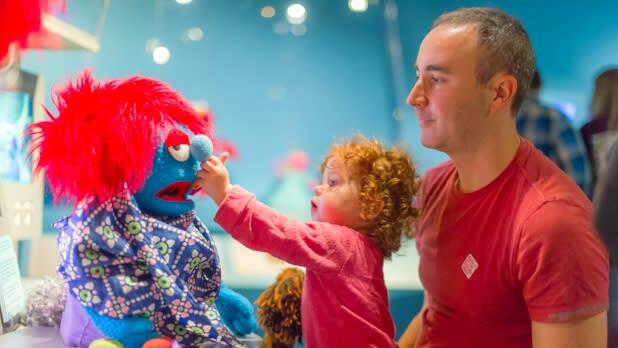 11 am: Head to either the Museum of the Moving Image where you can see exhibits and artifacts of television and movies (including almost 300 objects in the Jim Henson Exhibition) or to the Noguchi Museum with 27,000 square feet of Japanese-American artist Isamu Noguchi’s artwork and an outdoor sculpture garden. 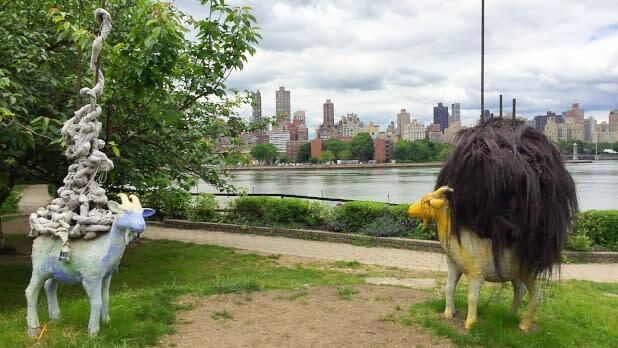 If you choose the latter, you may also want to stop at nearby Socrates Sculpture Park for more sculptures and a nice view of the skyline. 1 pm: Have lunch and a beer at the oldest beer garden in NYC Bohemian Hall and Beer Garden (from 1910!). 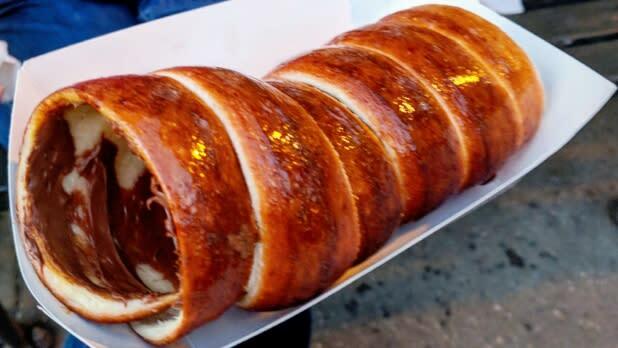 This sprawling outdoor venue (with heaters in some sections during winter) serves a variety of Czech and Slovak specialties like roast pork, fried muenster, and beef goulash along with more kid-friendly items like hot dogs and hamburgers.